Short ombre hairstyles and balayage hairstyles are currently trendy must have looks. In this post we have a look at the best ombre hairstyles that will definitely get heads turning. 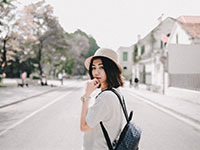 These looks are all in fashion and look insanely beautiful; they’re a great way to update your current hairstyle. People often think that it’s a lot harder to get short ombre hairstyles if you have dark hair. However, these stunning looks are actually ideal for those who have dark hair. This classy look can instantly add character to any short hairdo. We recommend getting this longer length bob along with darker roots that blend in to a cappuccino hair color. The reason that this hair color is great for those who have darker hair is because the hair naturally blends in. This also means that you will not need any maintenance as time goes by. Another wonderful idea for those who have darker roots is to change things up by adding in a dark brown ombre. This instantly gives life to darker roots and also creates some depth to the hairstyle. A great way to enhance any ombre hairstyle is to style the hair with soft curls. This allows the color to pop nicely. Uneven bobs look ridiculously good, especially when colored the correct way. This fashionable short ombre hairstyle looks beautiful and is another great option if you have dark roots. 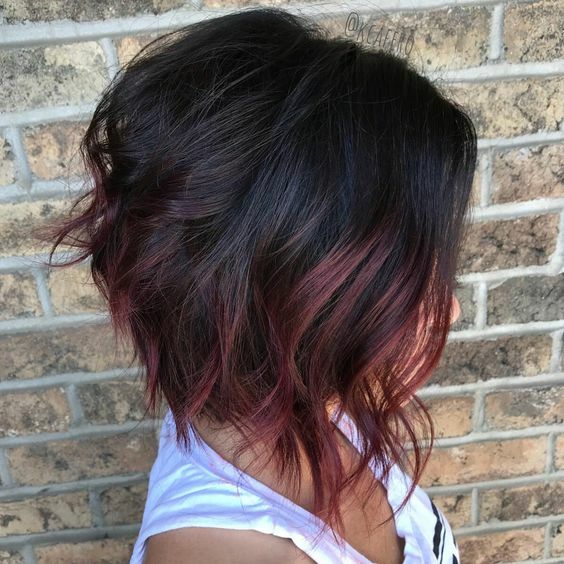 You will need your hairstylist to cut your hair into an uneven inverted bob and then add on soft hints of red color to create this look. The messiness and imperfection of this look is what makes it so unique and exquisite. This is the perfect hairstyle for those who are looking for a little change. Firstly, this hairstyle itself looks great- now imagine adding a plum and dark ombre effect to it. The result will be nothing less than amazing! Plum hair is slowly working its way back in to the hair industry. Celebs, models and influencers are all slowly starting to bring this color back in style. Let’s just say that this one’s here to stay and we love it. Again, this would be a great option for darker roots because it will easily work well together. If you’re a complete daredevil and want a completely crazy look, then bear with us. 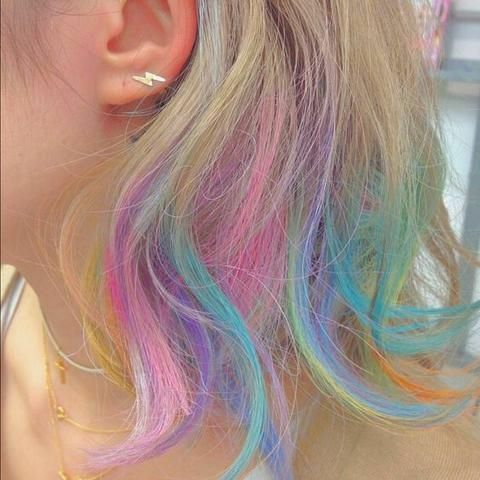 These looks are all super colorful and will transform you instantly. This one definitely isn’t for the faint hearted. With summer around the corner, this vibrant color will get you all the attention and more. 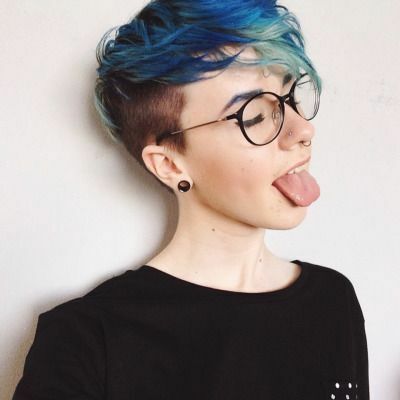 The hair is neatly faded on the sides and the top is slightly longer with a few different lengths. This ombre leaves the faded area to be the darker and the longer pieces are a colors inspired by the ocean. This will be a great summer look because it will remind you of the ocean. 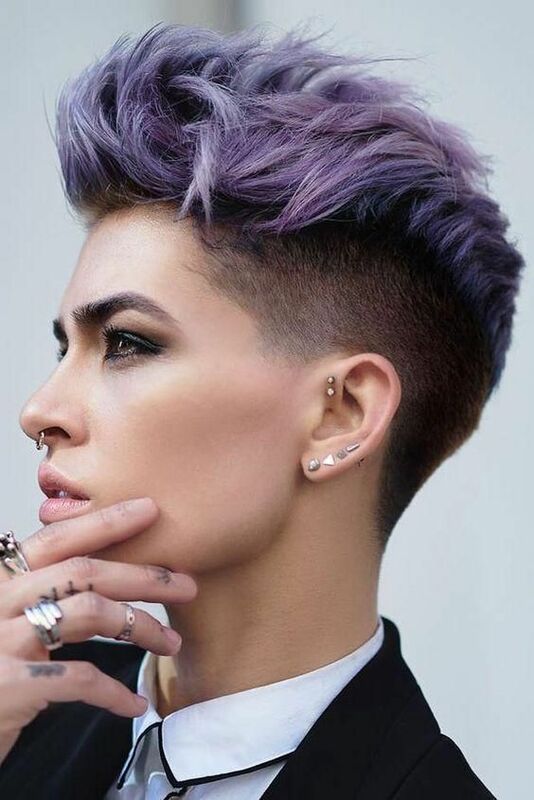 Another winner that we can’t get enough of is this violet short ombre hairstyle. It’s cut into the perfect boyish cut and is styled in such a magnificent way. 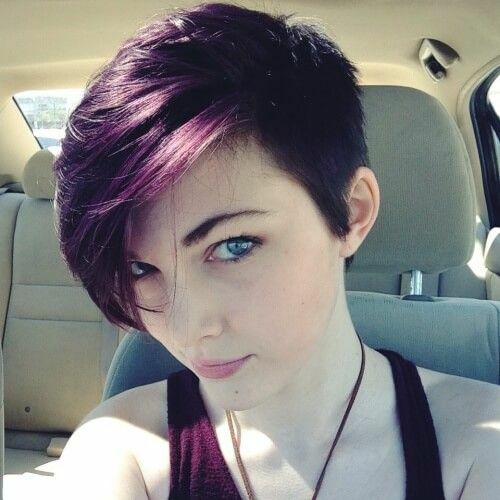 This hairstyle also leaves the sides all natural and the longer part is dyed with an eye catching violet hair color. It’s a great color that will complement the short hairstyle accordingly. Unicorns have become so popular recently and who doesn’t want to have unicorn hair right?! There isn’t anything bolder and more refreshing that going for unicorn inspired hair. This look works well with both, blondes and brunettes. No matter your root color, you will be able to pull this crazy look off that will give you tons of confidence. It’s truly something different. Shades of green are great tones that you can rock if you’re looking to be completely original. This look is ideal for those who have a lighter hair color because of how easy it blends. 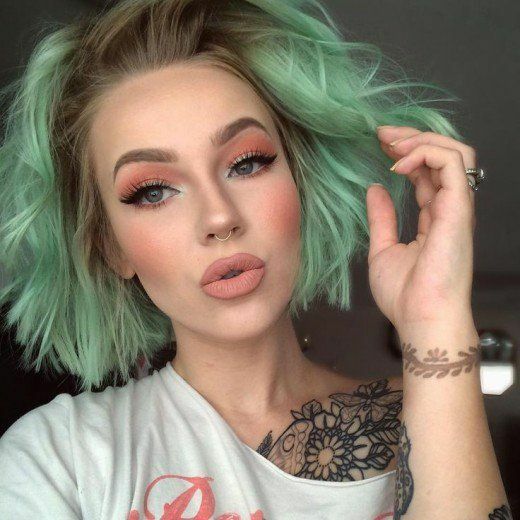 Opt for mint, neon or forest green to get a hairstyle that not a lot of people would ever think off. If you have naturally lighter hair than we’ve found a great selction of ombre hairstyles that will look stunning on you. These colors aren’t as crazy as the previous colors but they definitely will add extra character to your current short hairstyle. Rose gold hair has been quite a global trend and it’s here to stay! This ombre look works beautifully on lighter roots because of how evenly it flows together. Get your hair specialist to cut your hair into a chin length bob and add on this beautiful rose gold to create the ultimate look of 2019. If you’re looking for an ombre that looks natural then this is a great option to consider. This look doesn’t require any maintenance because as the hair grows out it still looks like it’s perfect. For this look you will need your hairstylist to cut an uneven length bob with a good few layers. Thereafter, the roots will remain a blonde while the tips will be turned into a nice grey color. Bobs never seem to go out of style and it’s fair to say that they look remarkably stylish. 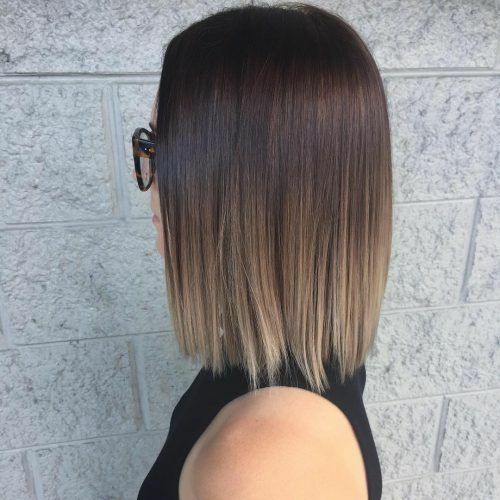 By adding a great ombre color to a perfect bob, you will be creating a look that is just perfect. This ash blonde ombre is one of the most popular styles to this date because of how versatile and easy it is to wear. The reason that it’s loved so much is because of how natural it looks. Now that we’ve covered all the great looks for women, it’s just fair that we take a look at some short ombre hairstyles for men. 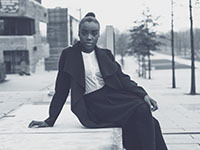 These looks are all cutting edge and look super stylish, however, they require more maintenance as the hair grows out. Nothing looks quite as great as perfectly cut hair- expect for perfectly colored hair. This ombre hairstyle looks great, especially for summer months. It instantly adds an extra sun kissed, beach look and works well with the hair cut. The best part of this hairstyle is that it requires little to no styling; making it a winner. 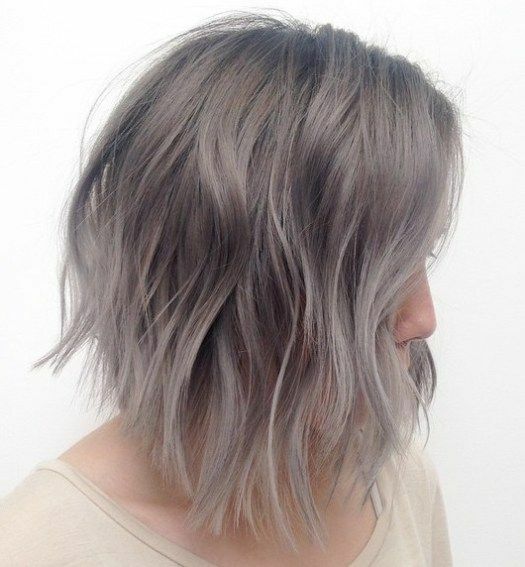 Silver fox is a color that just about anyone can look good in, provided that they have a killer haircut with it. This cut and color work hand in hand because of how evenly it compliments each other. The wonderful thing about opting for silver fox is that it goes beautifully with dark and light roots. If you’re looking for a color that breaks the boundaries, then brace yourself for this dark meets red ombre hair color. It’s a fun look to get and it can make any hairstyle look more vibrant. Ask your barber/ hairstylist for a skin fade and add on some texture to the top of the hair. 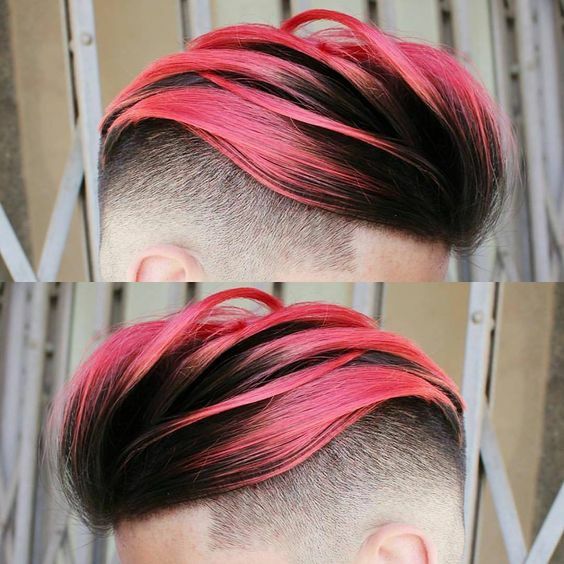 Thereafter, go in with a vibrant red hair color to create the ultimate red ombre hairstyle for men. This is another great ombre option for men who have darker roots. 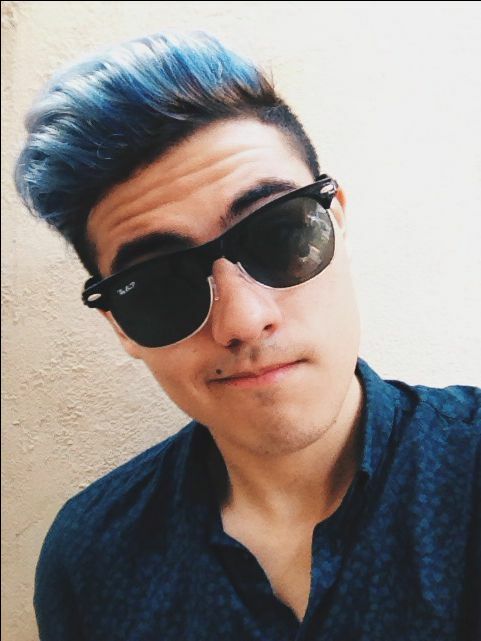 Blue is a great color to go for because it adds so much of life to dull and boring hair. You can look super stylish with this hair color without looking too crazy. If you ever thought that pink is for girls, you’re completely wrong. 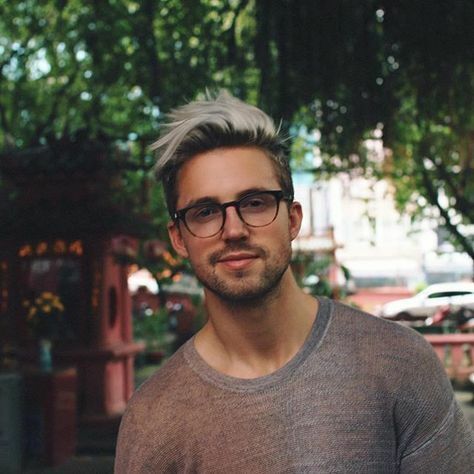 Low and behold- pink hair looks great on men too! This is the perfect look to get if you want some change in your life and it actually works really well with blonde hair. 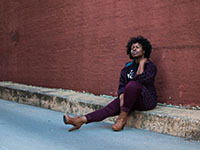 You can choose your favorite short hairstyle and then add in a colorful pink ombre to add on something unique. A great way to incorporate two colors that work well together is by adding it together. 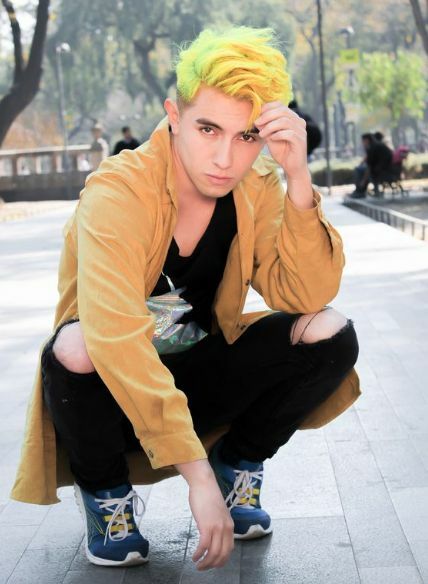 A bleached blonde and yellow is something very crazy and eye-catching, yet it works. This look is ideal for those who get bored easily of the normal hairstyles. It will get you loads of attentions and tons of head turning when you’re walking in the street. The only downside of this combo is that it will require regular maintenance as the hair grows out. Picking an ombre hairstyle is something that completely depends on your personality. You can either choose to go for something simple or something completely unique and different. The only thing to remember is that dying the hair regularly can damage the hair. It’s always a good idea to give your hair a break between colors so that the natural oils aren’t stripped away. Have fun when choosing colors and don’t worry too much about it. The best thing about hair is that it grows out so you won’t be stuck with one look for the rest of your life.